UNAVCO has helped collect and distribute huge amounts of GPS data throughout the world, on the order of several petabytes, providing unprecedented access to free high-quality scientific data. The next step may be the development of a Geodesy Community Workbench, which would provide a unified framework for analyzing and interpreting GPS data, according to researchers at the University of Nevada in Reno. A three-dimensional GPS signal contains a wealth of information about several different systems operating in and on the surface of the earth. 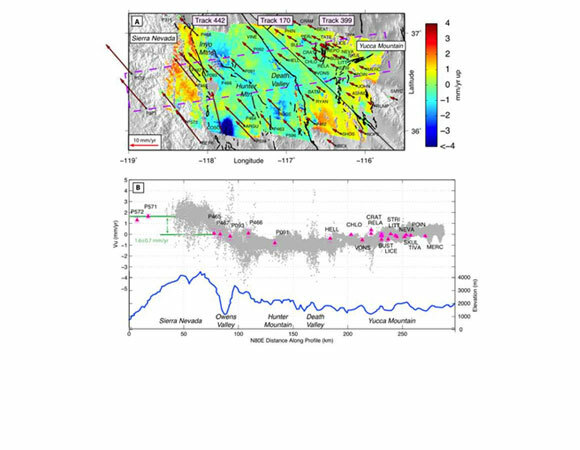 For example, in a case study undertaken by the University of Nevada group to analyze vertical GPS signals in the Sierra Nevada, the researchers had to consider tectonic uplift, post-glacial rebound, and the elastic response caused by water movement in the atmosphere and on the surface. 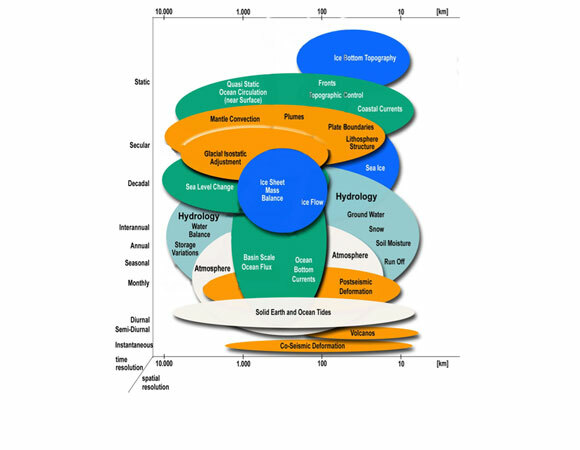 In order to understand the contribution from each of these systems, they had to both have the appropriate data, and know how to model the causes and effects within each system. Rather than each research group obtaining and modeling these data on their own, the geodesy community could create a modeling framework that would provide data archives, data analysis tools, and modeling software, that would all be provided through the.Geodesy Community Workbench. UNAVCO already provides some of these components, and would support working towards a unified platform for GPS data analysis. Hammond, W.C., Blewitt, G., Li, Z., Plag, H.-P., Kreemer, C., 2012. 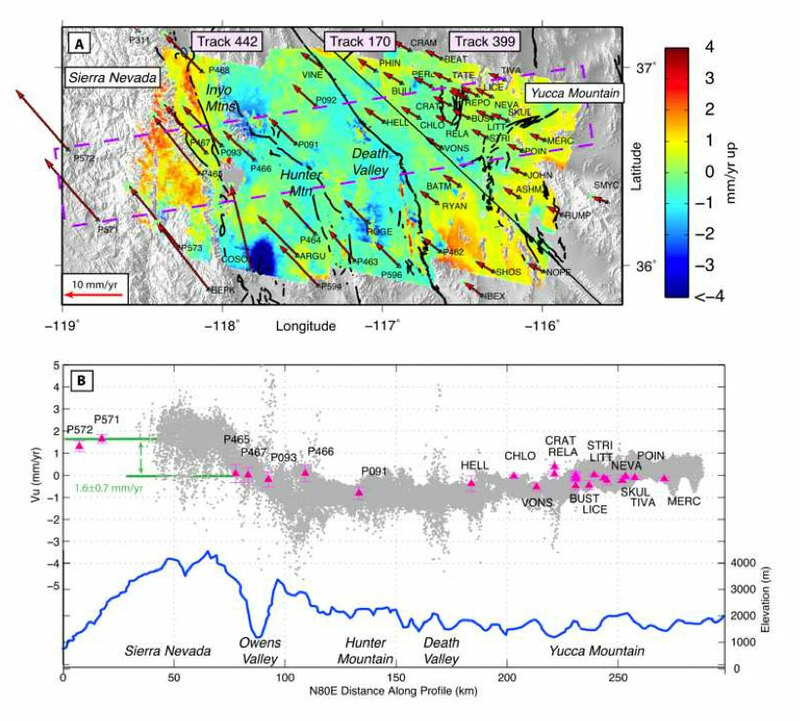 Contemporary uplift of the Sierra Nevada, western United States, from GPS and InSAR measurements. Geology, 40, 667-670, doi:10.1130/G32968. Ilk, K. H., Flury, J., Rummel, R., Schwintzer, P., Bosch, W., Haas, C., Schr ̈oter, J., Stammer, D., Zahel, W., Miller, H., Dietrich, R., Huybrechts, P., Schmeling, H., Wolf, D., G ̈otze, H. J., Riegger, J., Bardossy, A., Gu ̈nter, A., & Gruber, T., 2005. 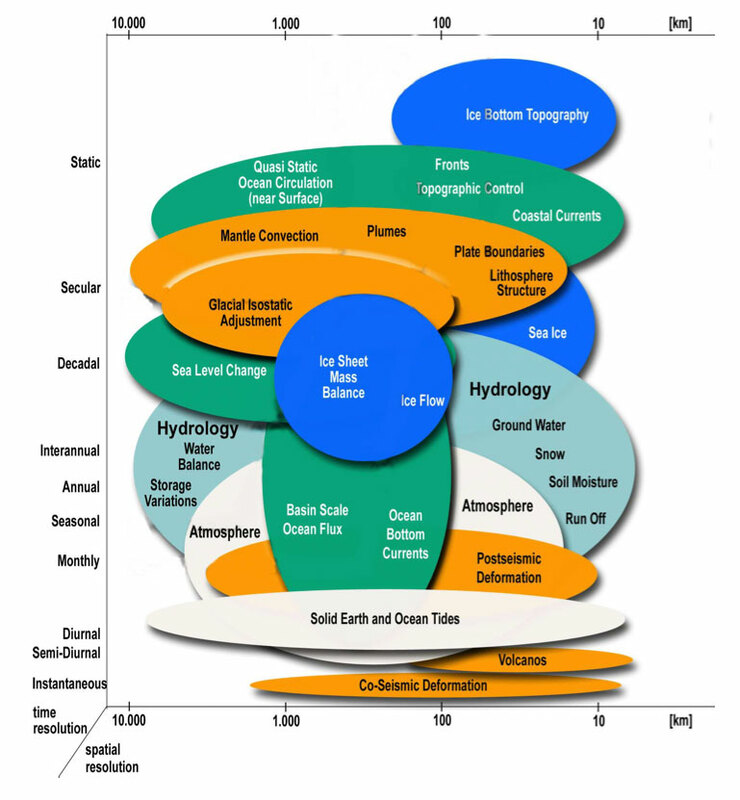 Mass transport and mass distribution in the Earth system, Tech. rep., GOCE Projectbu ̈ro Deutschland, Technische Universit ̈at Mu ̈nchen, GFZ Potsdam. Plag, H.-P. and Pearlman, M. (eds. ), 2009. Global Geodetic Observing System: Meeting the Requirements of a Global Society on a Changing Planet in 2020, Springer Berlin, 332 pages. Gurnis, M., Flesch, L., Okaya, D., Peters, S., Walker, D., Ahem, T., Boler, F., 2011. EarthCube Lessons, Opportunities and Challenges from EarthScope. EarthScope Cyberinfrastructure Subcommittee (ECISC).